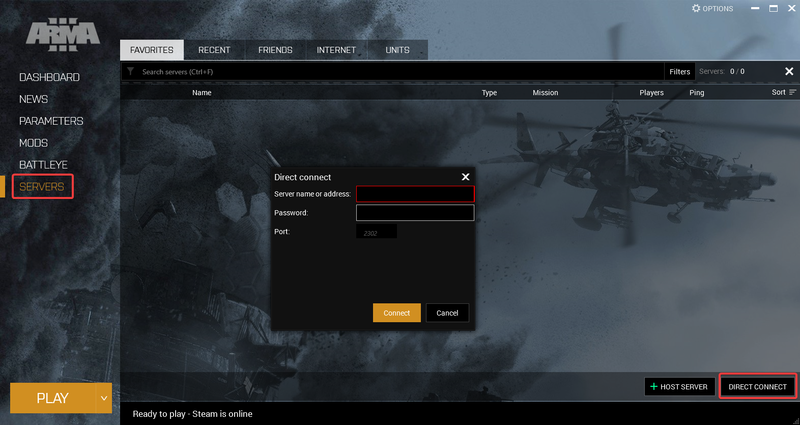 To connect to your private Arma 3 server manually, you'll need to use the UI provided by the game as follows. Launch the Arma 3 game on Steam. Select Servers from the launcher. Select Direct Connect at the bottom of the servers list. Enter your server IP/hostname, and password. The port defaults to 2302 so you do not need to change this.